The Case Studies and Special Collections listed on this page represent the Marine subset of Microbial Life's Topics of Interest collection. They contain resources - general (such as news articles, web sites, and reference pages), advanced (journal articles, academic reviews, and surveys), and educational (such as activities, assignments and reading lists) - that support teaching and learning about microbial life in marine environments. They can be used in a variety of class activities, including lectures, demonstrations, discussions, and student projects. 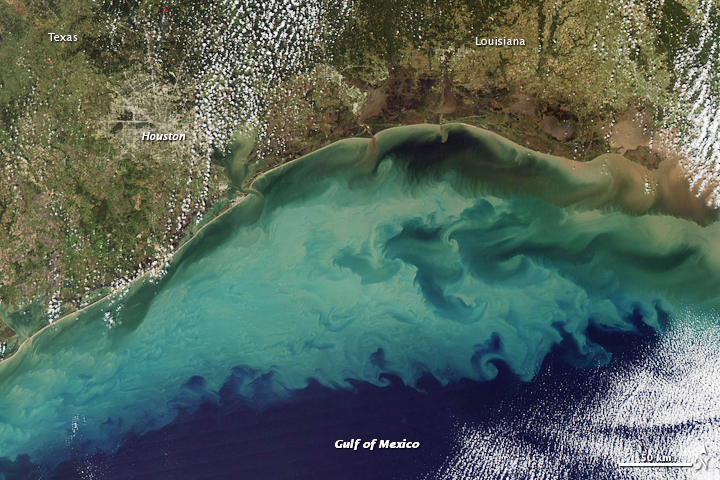 The Gulf of Mexico Dead Zone: The Gulf of Mexico dead zone is an area of hypoxic waters at the mouth of the Mississippi River. High nutrient load from farm and industry runoff along the Mississippi River stimulates algal blooms, which eventually deplete dissolved oxygen in the water. Red algal bloom at Leigh, near Cape Rodney, New Zealand. Photo by Miriam Godfrey. 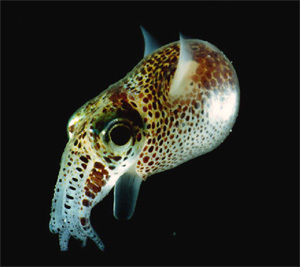 This photo can be found at the NIWA Science web site. 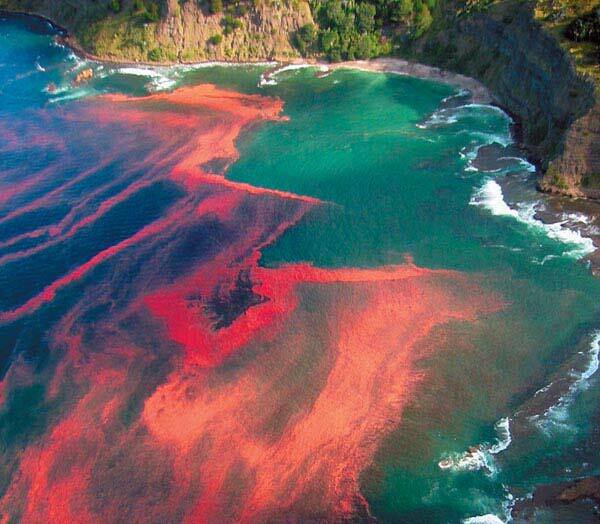 Red Tide: Red Tide is a phenomenon caused by algal blooms along coastal areas. These blooms generally discolor the waters and may cause significant problems for local biota by depleting oxgen and/or releasing toxins.